For Both ENDS, the year 2015 marked an ending and a new beginning. 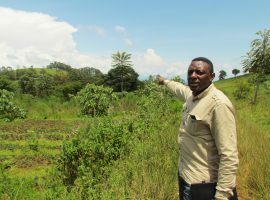 It was the last year of our Communities of Change programme, which focused mainly on strengthening small farmers and producers in developing countries. We also wound up our Ecosystem Alliance programme with its primary goal to involve local people in managing their living environments and the natural resources they depend on. 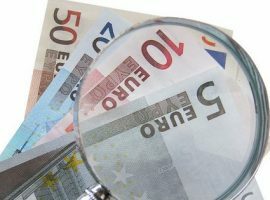 And the Fair, Green and Global Alliance, which mainly aimed to make financial flows more sustainable, also came to a close in its current form at the end of 2015. But the end of these programmes certainly does not mean the work will stop; what has been built up in the past five years will be continued within the new partnerships with the Ministry of Foreign Affairs, which start in 2016. 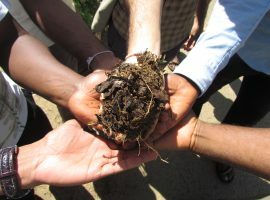 Rich Forests, for example, set up to transform degraded farmland into productive food forests that provide an income to small farmers and producers, came to maturity under the Communities of Change programme and will continue to expand, both within the partnerships and together with organisations in the Netherlands and elsewhere. 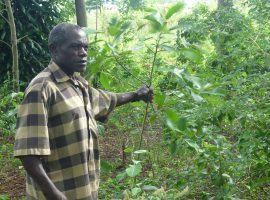 In 2015, Both ENDS laid the basis for a network of partner organisations from Ghana, Cameroon, Burkina Faso, Niger, Mali, Senegal, Togo, Uganda and Malawi which are embracing the Rich Forests model and are implementing it further. Rich Forests has also profiled itself strongly in the Netherlands, contributing to outreach to the Dutch public by planting two food forests to show that a sustainable and viable agricultural model is within our reach. For the Netherlands Environmental Assessment Agency (PBL), Both ENDS undertook nine case studies, together with partners in Kenya, Liberia, Tanzania, Cameroon and Uganda, to investigate the effects of large-scale agricultural development and natural resource management schemes in Sub-Saharan Africa within in the context of land and water governance. The report addresses the question of which strategies African local and national governments, international and local companies, and civil society organisations apply in distributing and trading land and water, to serve as a basis for future engagement. The time and energy we were able to invest in the Negotiated Approach to Participatory Water Resources Management within the Ecosystem Alliance programme proved worthwhile. 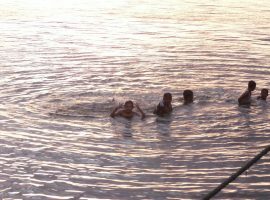 In recent years we have promoted and implemented this approach in many African and Indonesian river basins, creating networks of old and new partners that are inspiring examples of what participation can help to achieve. In Nicaragua, we did a scooping study to see how the Nicaragua Canal, which is still to be built, will affect local people and how to help them claim their land rights and get a seat at the negotiating table. The Fair, Green and Global (FGG) programme will be continued, with the same partner organisations, in one of the two strategic partnerships with the Ministry of Foreign Affairs. The scale of the programme has doubled, clearly giving the alliance – under the leadership of Both ENDS – more clout. Some years ago, Both ENDS was one of the first organisations in the Netherlands to question TTIP, the free-trade agreement between the US and the EU, the negotiations on which are due to be completed in 2016. Since then, a large-scale anti-TTIP campaign has been mobilised in the Netherlands, in which Both ENDS has been actively involved. 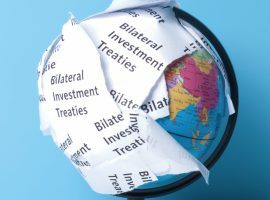 In the political and public debate, we have exposed the consequences of TTIP and other trade and investment agreements for developing countries. 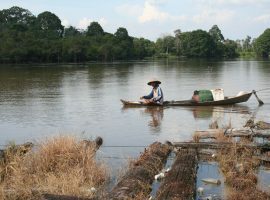 We have also called attention to the intricate linkages between Dutch export financing instruments and environmental degradation and loss of livelihoods, for example by contributing to research into Dutch involvement in the dredging of the Suez Canal and tax evasion by companies which have received support from the Dutch Export Credit Agency. Our engagement with international financial institutions has been manifold. We looked at the impacts of specific projects of FMO and European banks in Africa, Latin America, Central Asia and Eastern Europe, such as on the foreign extraction industry in Mongolia. We put the social and environmental criteria of the new Asian Infrastructure Investment Bank (AIIB), of which the Netherlands is one of the shareholders, on the Dutch political agenda and we are participating in discussions about the World Bank Safeguards Review, which tend towards lowering standards for human rights. 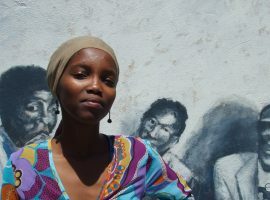 Speaking of human rights, 2015 was also the year in which we saw the first promising results of our Human Rights and Gender project, in which we explore how the human rights system can be better used to support especially women, whose rights are abused by large-scale development activities such as mining or land conversion. Together with our project partner ActionAid and the involved local organisations we did a total of seven case studies in South Africa, India and Kenya and trained hundreds of women in rights- and gender awareness in these countries. At the same time, we broadened our network and understanding of the international Human Rights Framework to be able to efficiently translate it to the local realities of the affected women. Resources Institute, under the leadership of the Nicaraguan organisation Fondo Centroamericano de Mujeres (FCAM). In the course of the year, together with the Ministry, the partner organisations have worked out the details of the two programmes. At the same time, we have continued to seek ways to diversify our financial basis. We presented several proposals to the EU and continued our engagement with US- and UK-based foundations and with foundations in Europe, thus further broadening our funding relations. We amply achieved our goal for diversifying our funding, finding new financiers such as ECF, Otterfonds, Liberty Foundation, Wallace Global Fund, KR Foundation and Transparency International. Both ENDS’ financial position is becoming healthier, but diversifying our financing remains a priority. We continue to make every effort to raise additional funds. For the first time in some years Both ENDS has a positive financial result. This is partly due to the final payment we received from ‘Stichting Inzet’, from which Both ENDS took over a number of projects in 2004. This payment has brought a welcome increase in our reserves. The MFS programmes (Ecosystem Alliance, Communities of Change and Fair, Green and Global) came to an end in 2015, as did their budgets. Because the major part of the partner budgets within these programmes was spent in earlier years and as the programmes had to be completed halfway through 2015, less funds were available for partners last year. This resulted in a slight decrease in the percentage of the budget spent on Both ENDS’ goals, from 85% in 2014 to 84% in 2015. To be well-prepared for the years to come, we invested in new computers and servers, which increased the value of our fixed assets. In 2015, three people left Both ENDS’ Board. In the course of the year, we were fortunate in finding three new members that share Both ENDS vision and will be able to continue to steer and challenge the organisation to grow further, based on their diverse professional backgrounds. The new members were selected in accordance with Both ENDS’ official board profiles. The new Board will be formally installed before the summer of 2016. Both ENDS laid the basis for a new internal structure in 2015. This structure is tailored to the new programmes, so that we can do our work in the most inspiring and efficient way possible and generate the greatest impact. The Board met four times in 2015 and was closely involved in both the reorganisation process and the diversification of Both ENDS’ financial basis. It also monitored the development of the strategic partnerships with the Ministry of Foreign Affairs. Both ENDS’ strategic goals are laid down in result indicators and are measured regularly using our measuring system – the ‘cockpit’ – to see whether the organisation is on course to achieve these results. The management reports to the Board on these developments quarterly, so that changes can be made in good time, if necessary. The communication department marked time in 2015. Its capacity was cut by half so that it will be able to grow again in 2016, with the specific expertise and skills required in the new organisation. Nevertheless, the department was able to function effectively, as can be seen from the wide variety of publications and media exposure. This was partly made possible by a number of volunteers who added strength to the team at crucial moments. A new period is dawning for Both ENDS: the two new partnerships – the Fair, Green and Global Alliance and the Green Alliance for Gender Action – allow us to continue our old, familiar work in land use, water management, capital flows, gender and human rights, but with new focus areas, new partners and in new contexts. Both ENDS has become increasingly visible in recent years and, although that benefits the work we do, we are also aware that it makes us and our partners more vulnerable. It is a challenge to support human rights defenders and to get their struggle onto the international political agenda, without putting them at risk. Besides many opportunities, successful fundraising also brings higher expectations of the organisation, which we have to continue to meet in the coming period. The new organisational structure will help us to achieve that, as it is specifically designed to keep us sharp so that we can respond more directly to opportunities. They may be current developments which we can take advantage of to stimulate the political and public debate on the Netherlands’ role in the world. This will enable us to better support the work of our partners in the South, or to show that a fair, green economy is perfectly feasible. That, after all, is our ultimate aim. We firmly believe that alternative models, such as our Rich Forests or the Negotiated Approach, show that a sustainable world is within our reach. 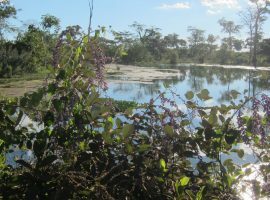 Therefore, while continuing to push for significant changes in our global economic system and implementation of the rules and regulations that govern it, we will increasingly invest in ways to scale up a range of initiatives related to sustainable forest and water management, agroecology and participatory land-use planning. The examples described in this Annual Report show where our passion, energy and commitment have led us. We are ready for the years to come. 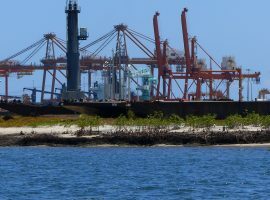 Examples include investments in large infrastructure projects, largescale agriculture or mining projects, as well as the enactment of particular financial policies and trade agreements. We help local communities to pursue their own ideas, priorities and proposals in negotiations with local authorities. Meanwhile, on the international level, we continue to challenge the rules and regulations that threaten to impede their implementation. The Ciliwung river begins in the lush mountains of West Java. It then winds more than 100 kilometres, along volcanoes and villages, before making its way to the city of Bogor and, finally, Jakarta. For many people, the Ciliwung’s water is vital to their existence. They drink from it, wash in it, cook with it, and use it to water their small farms. But the Ciliwung is no idyllic river. It is one of the most heavily polluted rivers in Indonesia. Like the Ciliwung, many rivers in Indonesia and around the world are contaminated by industrial, household, and agricultural waste. Other problems include sedimentation and erosion caused by land clearance and construction. 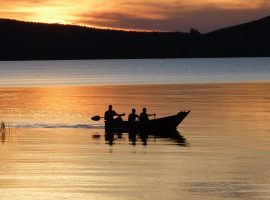 Poor water quality, water shortages, droughts, flooding, decreased fish populations, biodiversity extinction: these are just some of the consequences of weak water management, particularly the lack of community participation and integrated planning around water. But change is possible. Both ENDS identifies and supports inspiring forms of participatory and sustainable integrated water resources management (IWRM), working with local partners in Asia, Latin America, and Africa. Both ENDS calls this the Negotiated Approach (NA): a participatory process in which all relevant stakeholders propose and negotiate viable, longterm strategies to simultaneously improve water governance, alleviate poverty and increase wellbeing, and ensure healthy ecosystems. To a farmer whose field is parched, a light rain shower comes as welcome relief. Seeds greedily soak up the moisture, sprouting into seedlings on the path to becoming a plant. But the trouble begins when the rain fails to stop, when the river rises and flows out of control. Instead of a healthy crop, the farmer’s field is destroyed. As with rain, so with capital. 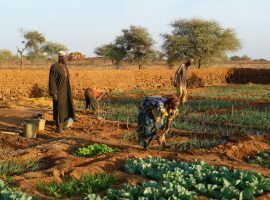 Under the right conditions, the flow of capital can have a positive impact on communities, nourishing sustainable livelihoods and reducing poverty. When local communities have a key role in decision-making around natural resources, and when businesses and investors abide by international standards of human rights and environmental protection, much good can be done. But if these conditions are not met, the effects can be devastating – doing more harm than good. Regrettably, this is the experience of many communities today. The global flow of capital is facilitated by myriad financial institutions and governed by a web of trade and investment treaties and agreements. 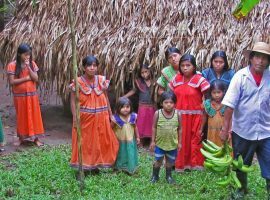 Both ENDS works with local communities to monitor these actors and agreements, examining how they affect local livelihoods, the environment, and the promise of sustainable development. Most people in low-income countries live from the forest. Forests are the ‘farms’ from which families are fed, and resources for shelter, energy, food and income are collected and cultivated. Honey from high in the trees. Fruits, nuts and edible leaves from bushes and trees. Herbs from the forest floor. Meat from forest-dwelling animals. Fish from the mangroves. As forests disappear, so do the livelihoods of hundreds of millions of people, not to mention biodiversity and the earth’s best system for absorbing CO2 emissions and regulation of water resources on which society at large depend. Members of the Board give their services for free. The Board oversees the general administration and operation of Both ENDS. Their expertise in advising on initiatives, legal questions, accounting, management and other strategic issues strengthens the foundation. The Board meets four times a year. Each member is appointed for a period of four years, which may be extended by one four year period, to a maximum of eight years. The Board appoints a chair, a secretary and a treasurer from its midst. Lara van Druten has been the board’s chair since 2010. She is a senior executive with a substantial track record in sustainability, innovation and change management in both the private and public sectors. She is currently the managing partner of a new clean-tech, social venture called The Waste Transformers. Van Druten previously served as the Operational Division Director of the French multinational Altran, where she led the company’s sustainability business practice. Her projects have received numerous awards and she was a nominee for Innovator of the Year by the Dutch government. Jacqueline Duerinck has been a board member since 2010. She has built a career as a communications advisor for Rabobank, among others. Her areas of expertise are business communications, brand positioning, internal and online communications, and project management. She is currently employed as a freelance communications advisor on large, longterm assignments for various clients, such as the Van Gogh Museum and the Erasmus University. Duerinck is also active in the council of members of Rabobank Utrecht and a board member of 'Het Filiaal Theatermakers' in Utrecht. 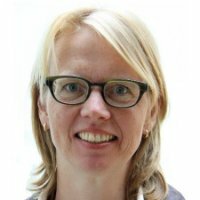 Juultje van der Wijk, board treasurer since 2013, is an economist who entered the banking sector in the mid-1990s after having worked for several years for the Dutch government in the area of development cooperation in Central America. She is currently the Global Head Transaction Services Sales at ING Commercial Banking. Prior to this, she worked in commodity finance and mining finance, often in the emerging markets area. She has always been involved in the process of approving corporate or project financing requests. Ton Dietz has been a board member from 2010 until May 2015. He is the Director of the African Studies Centre and Professor on African Development at Leiden University. He is also a visiting professor at the department of Geography, Planning and International Development Studies at the University of Amsterdam. In the past, Dietz has served on numerous boards including the NWO-WOTRO (Science for Global Development) and the CoCooN (Conflict and Cooperation over Natural Resources) programme at the NWO (Netherlands Organisation for Scientific Research) for many years. He was also one of the initiators of DPRN (Development Policy Review Network), the Worldconnectors and The Broker. Ruud Schuurs, board secretary from 2010 until May 2015, is an independent advisor on corporate responsibility and sustainability and works with organisations that create conditions that allow people to strive toward increased sustainable development themselves. He focuses on strategy, organisation and leadership development. Schuurs worked as a CSR manager for Nuon and together with his team developed an innovative policy that focused on sustainability within the organisational structure. In 2008, he opted for a career as an independent advisor with the motto “Adviseur in Beweging” (Advisor on the Move). Elfrieke van Galen joined the Both ENDS board in May 2015. She has a background in law and broad managerial experience in the logistics and service industry, and held positions as Managing Director of KLM Cityhopper and CEO of KLM UK, and as Senior Vice President of Corporate Social Responsibility at KLM. Elfrieke currently holds a number of non-executive positions. She knows how to incorporate sustainability in every kind of organization; she inspires others and knows how to proceed in the most complex situations. About Both ENDS - Thank you! Both ENDS and our partners benefit from the generous financial support offered by our financiers for which we express our great appreciation. And finally we would like to express our gratitude to the members of the board for dedicating their time and expertise to support Both ENDS and help advance its mission. The Both ENDS board monitors financial matters and the administration and implementation of the organisation’s work and offers guidance where necessary. Meanwhile, the board also critically scrutinises the organisation’s work methods. The board regularly evaluates its own activities and adjusts them where necessary. In 2009, Both ENDS redefined the general profile of its board. When there is a vacancy for a position on the board, Both ENDS’ management together with the board will draw up a list of possible candidates, from which they will eventually choose one. The board members do not receive any remuneration for serving on the board. Their advisory expertise on initiatives, legal questions, accounting, management and other strategic issues strengthens the organisation’s foundation. The board meets four times a year and receives all of the relevant information on the organisation’s financial status, how the tasks are being executed and any other developments in the quarterly report, provided by the management. Each board member is appointed for a period of four years, which may be extended to a maximum of eight years. The board appoints a chair, a secretary and a treasurer from among its members. The board also appoints the organisation’s Director, reviews and evaluates the Director’s accomplishments and conducts an appraisal interview with him or her at least once a year. The board of the Both ENDS Foundation consists of the same members as the board of the Joke Waller-Hunter Initiative Foundation. These joint foundations together publish a consolidated annual account. Since Both ENDS is a professional organisation with experienced and skilled employees, we pay particular attention to personal growth and development, while stimulating self-reliance and autonomy. The goal of our staff policy is to bring out the best in everyone, which, in turn, contributes to achieving the goals we established in our Strategy2015. In addition to our employees, a number of Both ENDS’ staff members work via Amsterdam’s ‘Bureau ‘Werk en Re-integratie’, which detaches people that have a distance to the labour market and need intensive coaching. In early 2015, the Ministry of Social Affairs and Employment conducted a review of how businesses and institutions implement the new ‘participation law’ and the quota set for hiring disadvantaged staff. The research concluded that Both ENDS is committed above average to meeting this quota. Both ENDS also works with volunteers and interns. Each of them is matched to the most suitable colleague at Both ENDS to handle his or her coaching. We have had a great deal of success coaching trainees and volunteers over the years. Many of them have subsequently found employment within the international development sector, in academia or with the government. The relationships that Both ENDS develops with other parties such as partners and donors are very important to us and we strive to treat our contacts with the utmost courtesy and respect. We value their criticism, comments and suggestions. Both ENDS’ complaints procedure is published on our website. In 2015, Both ENDS did not receive any complaints. 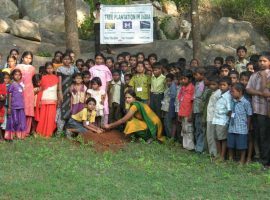 Both ENDS takes corporate social responsibility seriously and strives to be as sustainable as possible in its operations. All our employees must be able to perform their tasks without harming the environment, and the organisation does the maximum it can reasonably do to accomplish this. We have solar panels on the roof of our office, which generate some of our own electricity. We use energy-saving light bulbs. Paper, glass, plastic and ink cartridges are collected separately for recycling. We copy and print everything two-sided and on recycled FSC-certified paper. Our cleaning products are eco-friendly and have an eco-label. Our ISO 14001-certified cleaning company uses the same products. Over half of our employees cycle to work. The others use public transport. The organisation also offers options to periodically work from home. All Both ENDS partners are required to implement the grants they receive in accordance with the 10 principles of the UN Global Compact.